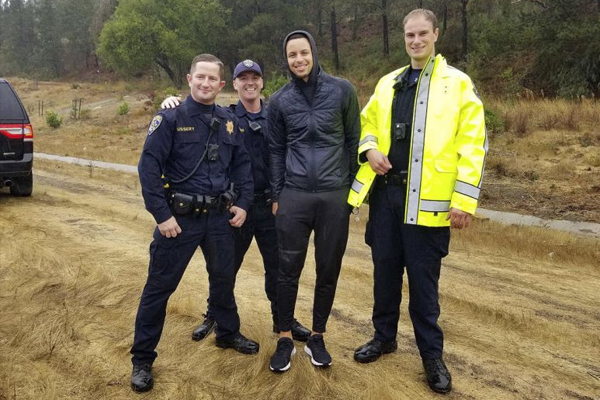 Warriors star Stephen Curry appears to be uninjured after being involved in a three-car crash Friday. Dashcam video obtained by TMZ shows the crash that took place on Highway 24 in Oakland. The video is from the dash camera of a driver traveling the opposite direction in Oakland. A California Highway Patrol said Curry was hit twice as one car went across all traffic lanes and clipped Curry who spun out of control and was then rear-ended by another car. Everyone involved appears to be OK, but there is damage to Curry’s Porsche. Curry took to Twitter after reporting to the Warriors facility that morning.